Arunn Jegan is an Australian Project Coordinator who recently returned from his second field assignment in Taiz, Yemen. Taiz, the third largest city in Yemen, is separated by a frontline. Yemenis are exposed to violence on a daily basis and the constant sound of shelling and gunfire crackling through the days and blaring through the nights became the norm. I remember at one point in January this year, when we were hearing five explosions every minute for a period of two weeks. Today, the main issue for people in Taiz is still insecurity. Day-to-day, there’s the fear of being killed by stray gunfire or shelling into the city. There’s the fear of family members never returning home from work. Freedom of movement is far more restricted than what it was before the war and checkpoints are dotted everywhere, making it difficult for people to carry on as normal. You can imagine that living in these conditions is incredibly tough for the locals and as a result, I think there will be a devastating psychological footprint that lasts long after this war is over. Very broadly, we have seen a collapse of the secondary and tertiary healthcare systems in Yemen. MSF has spoken openly about this over, and over again. Over the last two years, public hospital staff have been paid little to no salaries, and without incentive-based support, the public health system cannot function. MSF has been supporting three hospitals in Taiz city for almost two years, focusing on the main emergency priorities including medical care for people injured from the war and paediatric and maternal healthcare. Indeed, in war, surgery is an enormous part of our work, but the reality is there is also a real need for quality services for children and pregnant women. In Taiz city, we had on average, 2,000 maternal health consultations per month – these were women that would otherwise not have had access to care. Staff were seeing malnourished children, and children who had advanced respiratory infections. They also treated children for common illnesses that were amplified because of the lack of provisions available. One of the lesser known, long-term consequences of the war in Yemen is anti-microbial resistance. In health facilities across Yemen, over-prescribing of antibiotics is common practice by doctors and thus patients expect and demand that antibiotics are readily available. Antimicrobial resistance in the community is high for certain antibiotics and self-prescribing is common. In Taiz, MSF is working with local health workers to minimise over-prescription of antibiotics. What struck me most was seeing our staff interact with patients. Due to the collapse in public infrastructure, professionals are working in different fields. Teachers, for example, don’t have jobs anymore because the education system is defunct. 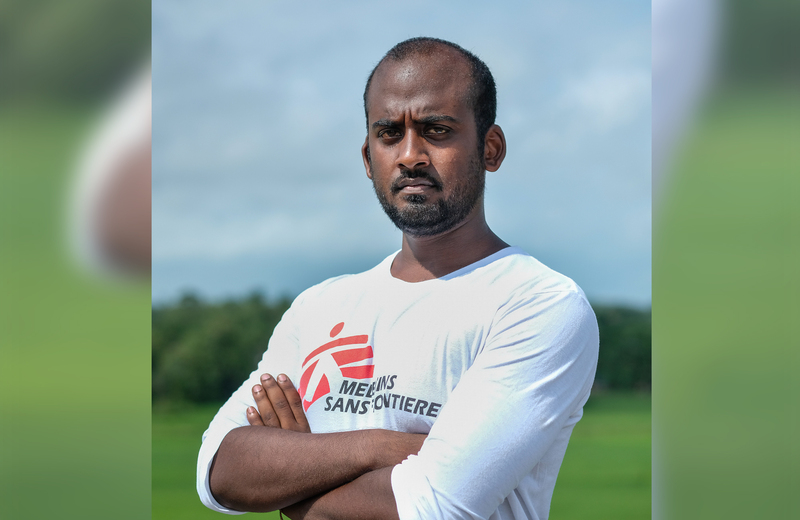 Some have come to work with MSF under various administration and logistic roles. I remember going through one of the hospitals with a former teacher, now an MSF logistician. As we were walking through the emergency ward, he recognised some of the patients as former students. He was quite shocked to see them in such a precarious state. He remembered them being fit and healthy and was worried about their health status now. The students recognised their teacher and they chatted for quite some time about days gone by. They spoke of a bleak future; they were no longer going to school and they missed the days when school was their only worry – even if their teacher was quite strict! One of the boys mentioned that his mother and father struggled to secure food for the family. He was grateful to be receiving free medical care but worried about the setback, knowing that the other basic essentials of life could not be met. Everyone has a story in Yemen. Everyone has something to say about how their life has changed because of the war. In most situations, in most communities, you would expect to see a broken people. Year, after year of being forgotten, not being able to access healthcare services, and not being able to afford food, you would feel broken. But that’s just not the case for the people of Taiz. The people continue to do their best to make what they can out of the situation, even though war and the fear of death is a daily reality for them. In Taiz, people are still hopeful for a stronger future.